If you can't find a satisfactory answer or require more assistance, follow these steps to schedule a time to talk with us. Sometimes your issue is best resolved by talking on the phone with someone. If you can't find a satisfactory answer to a question or issue you have here, or you just want to talk to a human, we have two ways you can quickly get in touch. 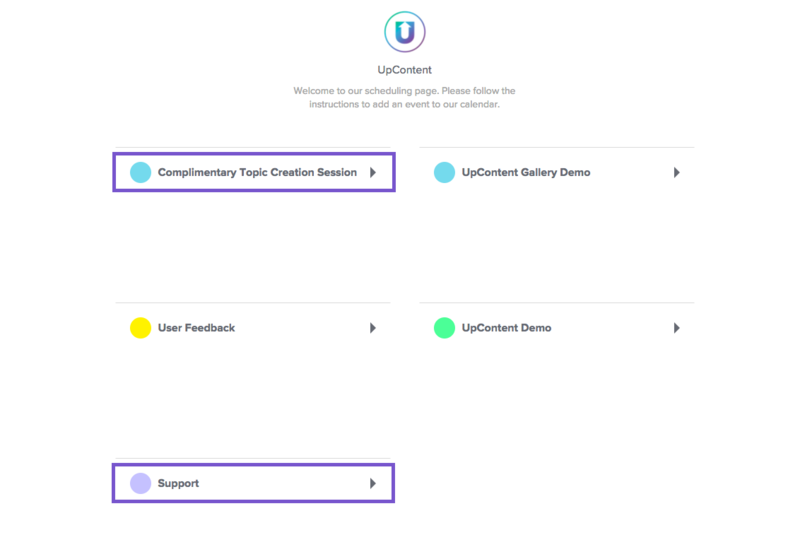 The best way to get in touch with us immediately is through the chat button at the bottom right of this screen or on my.upcontent.com. Go to our calendly page. Click on the meeting type that is right for your question. 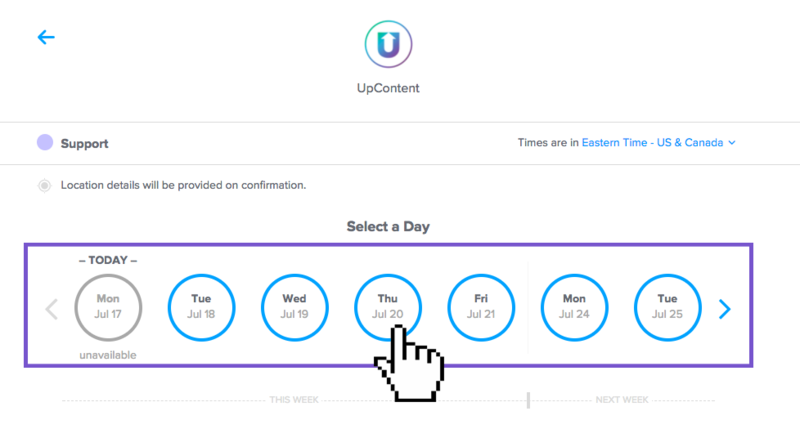 Then, you can pick a day and time that works best with your schedule. 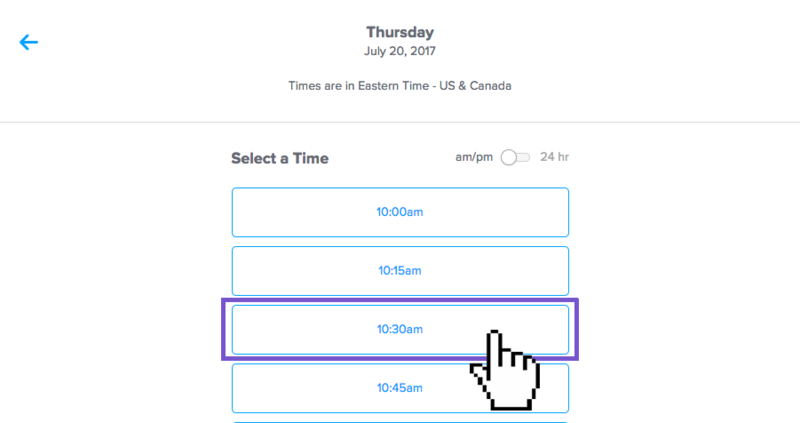 Be sure to check the time zone selected (appearing in the top right) to align the times with your calendar. 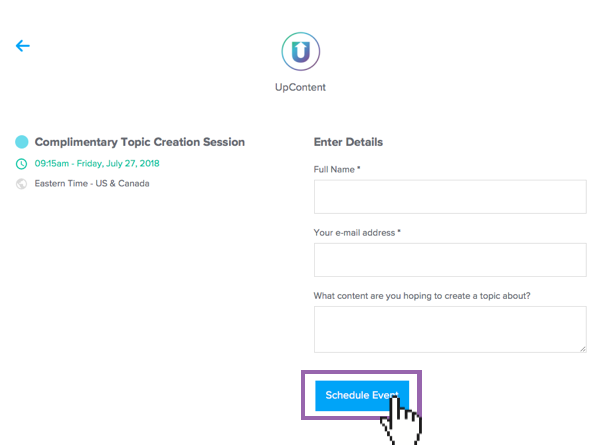 You will then fill out some details about yourself and your issue, before finishing the process by clicking "Schedule Event"
You should then see a confirmation message followed by an email with the link for your call. We'll be waiting on the other end when your call is scheduled to begin.